The language is enchanting and the poetry shines with an unearthly radiance. 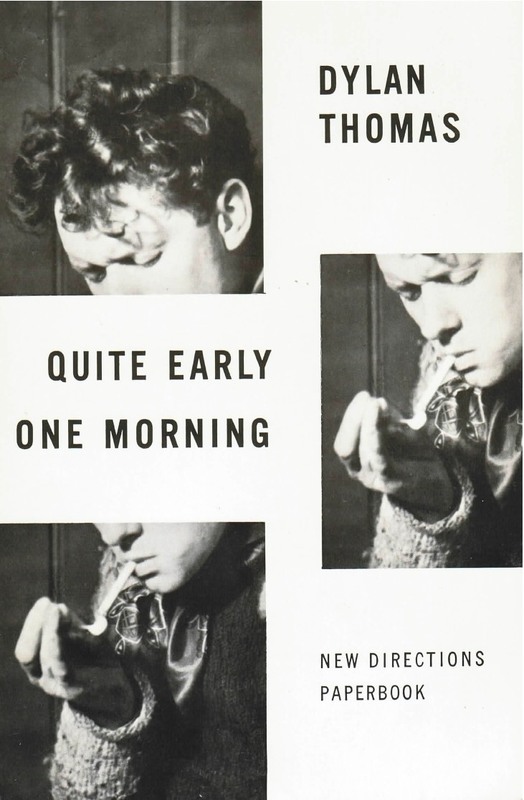 In England and America Dylan Thomas made his art and personality widely known through public readings, radio broadcasts and recordings. Many of the 25 short stories, autobiographical sketches and essays in Quite Early One Morning, a volume planned by Thomas shortly before his death, were read by him on such occasions. They are alive with his verbal magic, his intense perception of life, his gargantuan humor and with the very ring of his voice. Included in this collection of prose pieces are such favorites as the hilarious “A Visit to America,” the account of a small boy’s marvelous day’s outing––”A Story,” and the memorable “A Child’s Christmas in Wales” which has been called ’the twentieth century Christmas Carol.’ Other pieces show Thomas’s power as a sensitive critic of poetry and as an exponent of his own intent as a poet. …altogether a rich sampling of a man whose sensuousness reached far into both comedy and mysticism. …a scintillating and enriching volume… This is the closest we shall come to the autobiography of one of the finest lyric poets of our time, and I must say I find it delightful.